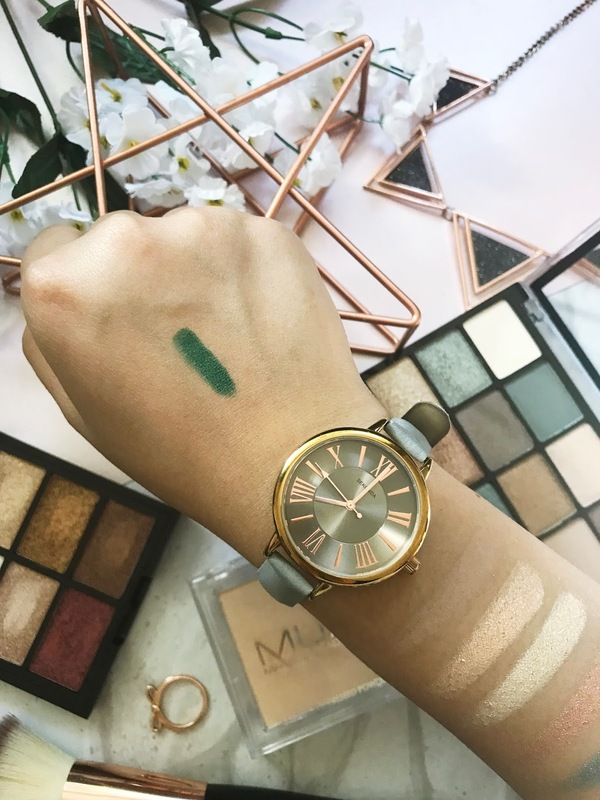 Last week I decided to take a little trip down to Superdrug and I was just having a look with no intention in buying anything but I couldn't resist myself when I went to the MUA counter. Here I will show you what I brought and my first impressions of the products. While looking at all the different palettes I was instantly wanting this one because of all the different shades, I usually go for more warmer gold, pink and red shades and I wanted to change it up a little bit and go for colours that I dont usually use. The green shades where my favourite from this palette! This palette also looked like you can make so many different looks with it. The price of this palette is amazing for just £4 you get 15 different shades with 4 shades being matte and the rest being shimmer shades. 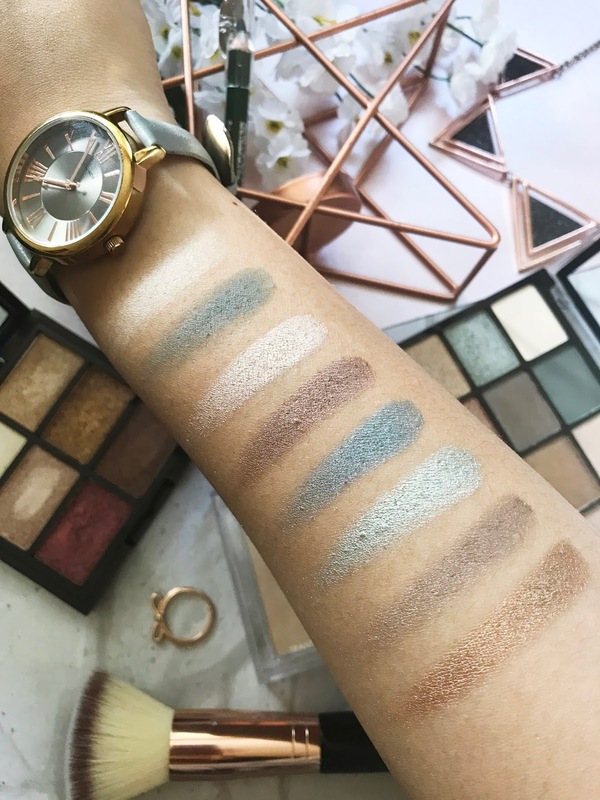 Firstly before I tried the colour on my eyes I swatched them on my arm and was so surprised at how pigmented the glittery shades were, Some of the glittery had a more thicker consistency than others. The matte shades did have good pigmentation but not as good as the shimmer shades but that happens with most eye shadows. Using the colours was really easy because they blended perfectly and didn't take too much to make them all look great together, The only thing I would change would be that the matte colour in the palette which could be used as a crease colour is slightly too light for me. This palette is full of shimmer shades which are highly glittery. There was a few different versions of this palette but I really like the deep red glitter shade on the bottom row. You would probably need another few colours to make a full eye look with this palette because it doesn't have any matte shades. The price of this palette is also amazing as well for only £3.50! 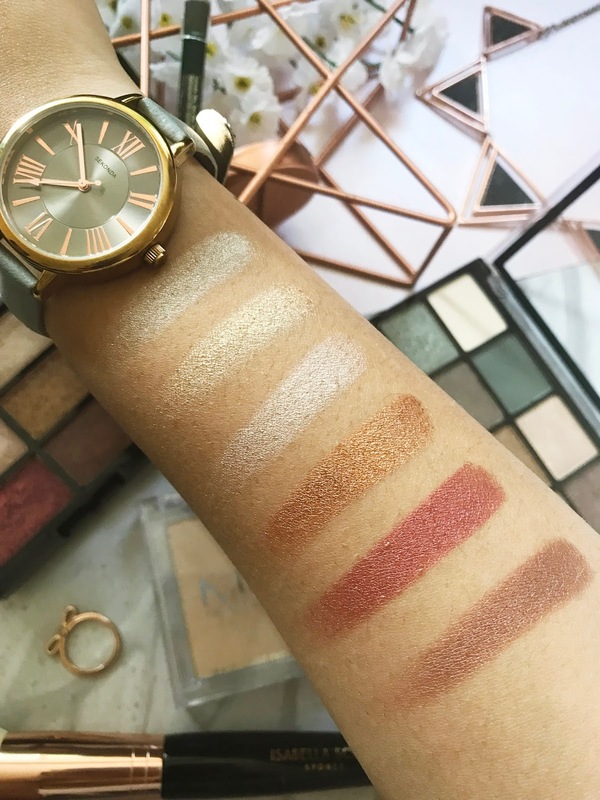 Again I swatched this palette before I tried it out and the shades were really vibrant, these shades also felt like they had more of a thicker consistency and slightly powdery. 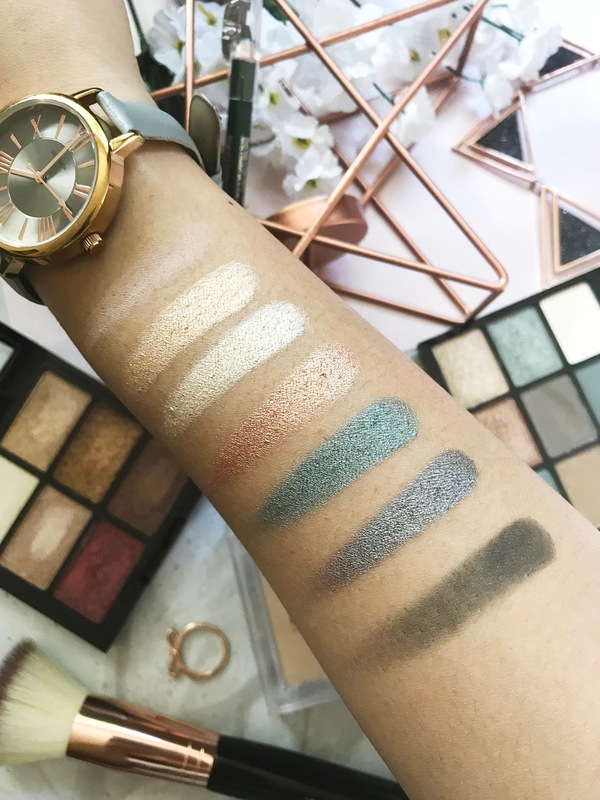 When doing an eye shadow look with this palette I used a brush first to see how it applied and it did apply the colour really well with not that much fall out. I then applied a bit more colour with my finger and it gave the shimmer colours an extra kick and it looked really nice and vibrant. I have tried the MUA eyeliners before and I have to say they are one of the best coloured liners that I have tried! Stepping again out of my comfort zone I chose to have a green liner instead of my usual black. The colour is a bright green with a slight shimmer too it. All of the eyeliner pencils come with a sharpener which is great! especially as its only £1. I used this colour on my lower lash line and in the water line. It applied really smoothly without that sharp feeling that some new eyeliners do. It also has a really creamy consistency meaning that I wasn't dragging it against my eye to get the colour to show. The liner is also very pigmented, it does wear away slightly during the day buy you can see the colour still by the end of the day. I had been looking to try out a new pressed powder for a while now because the foundation that I've been using isn't matte so I need a good powder to keep my skin looking matte. The price of this powder is also amazing with it just being £1! Before I tried this powder out I was slightly worried that it would leave my skin with a white cast or looking a little pale but it blended into the skin nicely and kept my foundation looking matte. I also keep this powder in my bag to top up during the day if I get a bit shiny. Trying and testing out new makeup is always my favourite thing to do especially when it's as great as these products! Have you used any MUA products that you've loved? Wow - I love the eyeshadow palettes - they are so pretty! 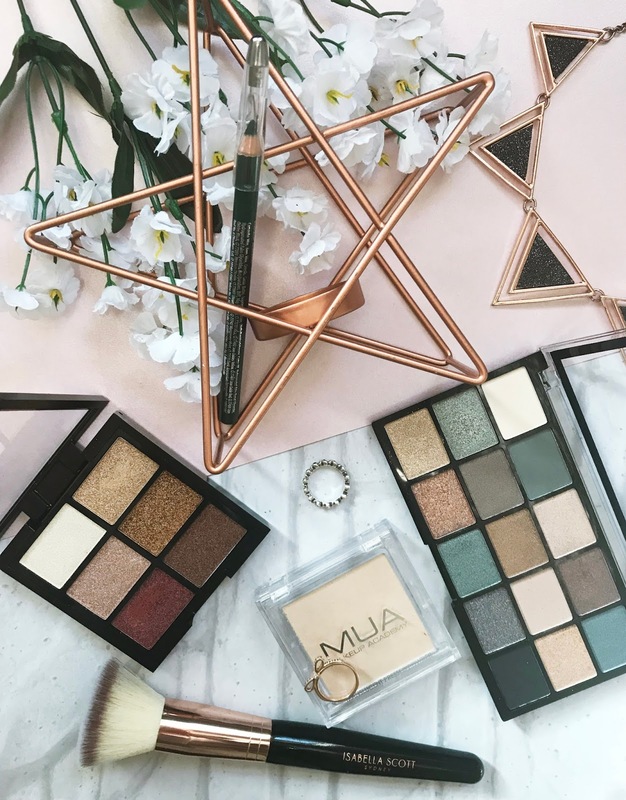 Whenever I see posts like this, it really makes me want to treat myself to one of these gorgeous palettes haha. With these being quite cheap - next time I'm out, I may end up treating myself haha. 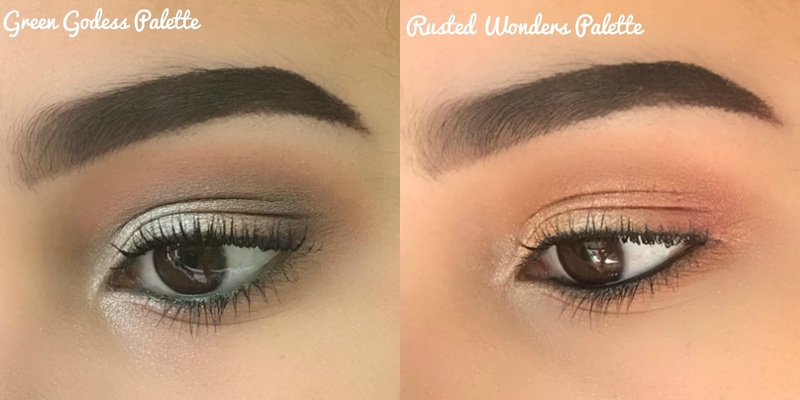 Love the looks you created with the palettes! Thank you! You should try them they are great and amazing value for your money! Those eyeshadow palettes are to die for! I love them both! 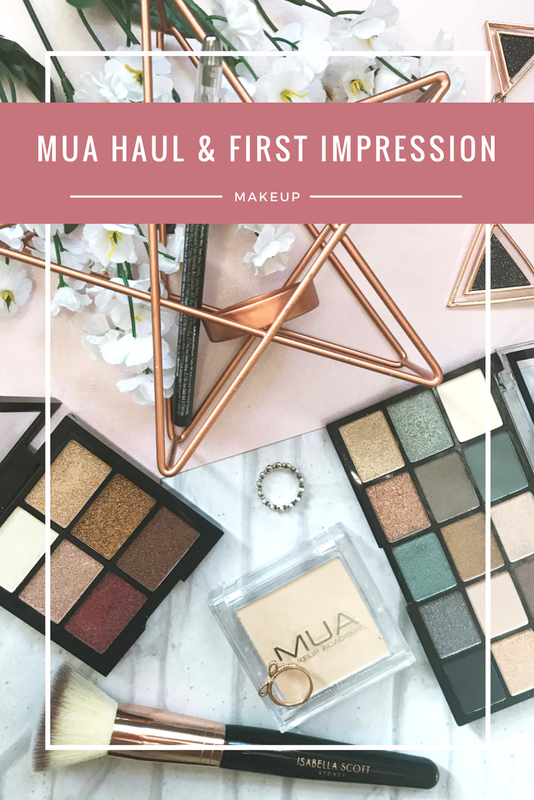 I haven't tried MUA in years as I wasn't very impressed with their products but I have fallen in love with those swatches of the eyeshadows you have done! They're so pigmented and gorgeous!